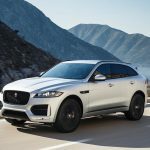 The all-new Jaguar F-Pace is a performance crossover designed and engineered to offer the agility, responsiveness and refinement that all Jaguars are renowned for, together with unrivalled dynamics and everyday versatility. Developed using Jaguar’s Lightweight Aluminium Architecture, the F-Pace combines purity of line, surface and proportion with F-Type-inspired features such as the powerful rear haunches, fender vents and distinctive tail light graphics. It is manufactured at Jaguar Land Rover’s Solihull Plant alongside the Jaguar XE sports saloon. To start you must understand the purpose of this SUV. 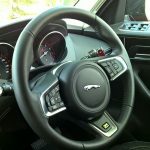 Jaguar engineers studied how the established SUV manufacturers were delivering huge profits to their accountants as the demand for sports SUV’s grew and grew. 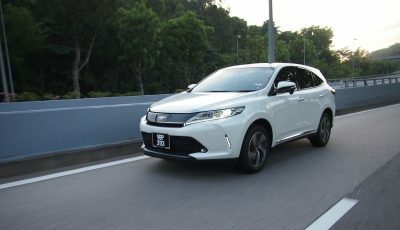 They realized there was a fast growing global appetite for SUV’s with sports car handling and they could bring their sports sedan development into a brand new SUV. This is the F-Pace. 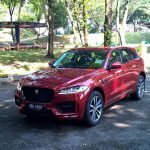 The F-Pace 2.0L Ingenium SUV was officially launched in Malaysia from RM425,800 and is already in all Jaguar showrooms. Available in three variants namely Prestige, R-Sport (Mid-Spec) and R-Sport (Hi-Spec) – the F-Pace 2.0L comes with luxurious interior and high-tech features for the convenience of the driver and the comfort of its passengers. 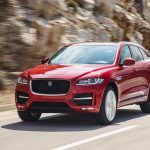 The F-Pace 2.0L, which won Ward’s 2018 10 Best Engines award, is powered with Jaguar’s very own new 2.0-litre four-cylinder Ingenium powertrain that is mated to a twin-scroll turbocharger producing outstanding horsepower of up to 250PS and 365Nm of torque from only 1,200rpm. The engine’s twin scroll turbocharger is fed by an integrated exhaust manifold that synchronises exhaust pulses from two separate pairs of cylinders, significantly reducing turbo lag while improving engine response. With the ability to achieve 0-100km/h in just 6.8 seconds, the driver will experience the powerful yet smooth acceleration with effortless overtaking. 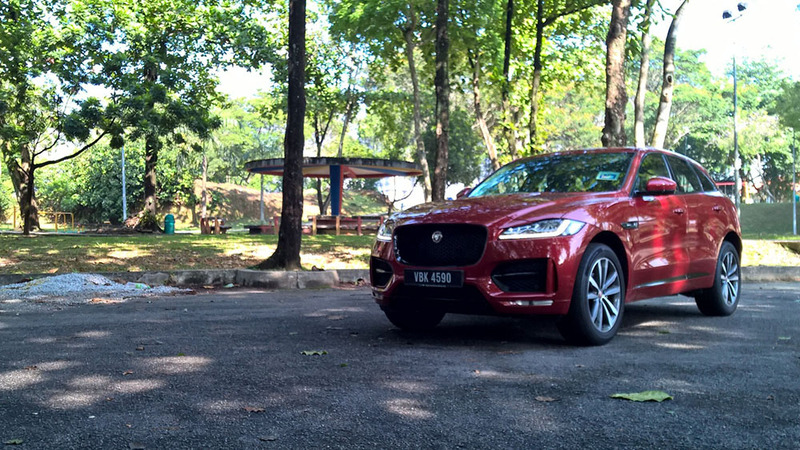 The Jaguar F-Pace is a vehicle of design firsts. 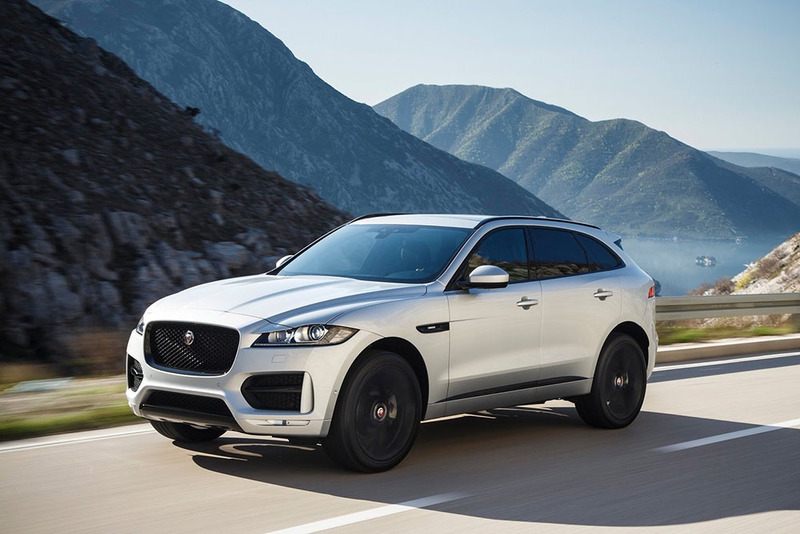 It’s Jaguar’s first performance crossover, the first aluminium-intensive model in the class and first among rivals for boot volume, cabin width, rear kneeroom and ease of rear access. The F-Pace packs everyday usability into a concept car body. The F-Pace remains true to the aesthetic of the award-winning C-X17 concept, and they were both designed by the same teams – this enabled purer design expression. 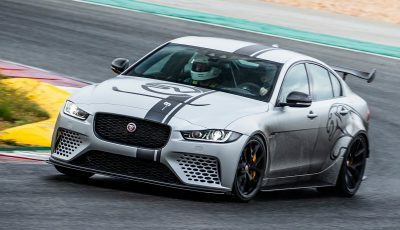 Thanks to the flexibility of the Lightweight Aluminium Architecture, the designers could work hand in hand with the engineers to determine the key dimensions such as the wheelbase and track, delivering the proportions and elegant lines that distinguish it instantly as a Jaguar. The influence of the F-Type is instantly apparent at the rear, from the graphics of the LED tail-lights to the muscular rear haunches. The rakish angle of the rear screen belies the unrivalled load space behind it. The F-Type’s influence extends to the Jaguar F-Pace’s silhouette, with its sleek roofline and short front overhang, reflecting the vehicle’s agile responses. 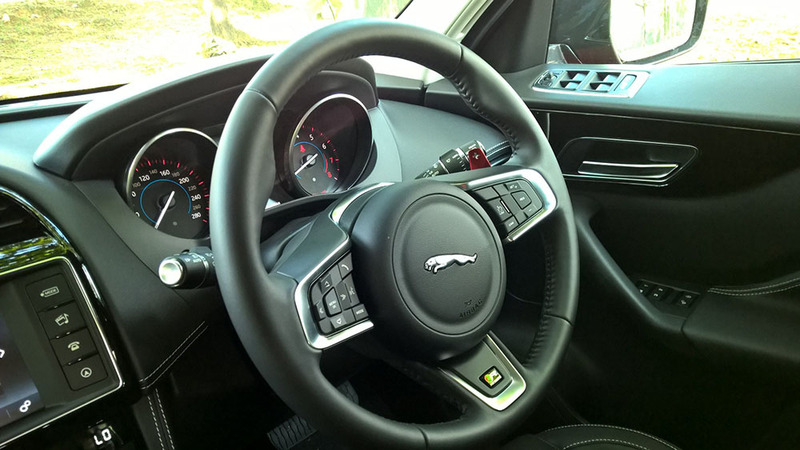 The fender vents are another familiar Jaguar design feature. The large diameter wheels – especially the range of forged 22-inch designs – enhance the purposeful stance. The taut surfaces and clean lines of the bodysides – formed from a single sheet of aluminium – reflect Jaguar’s world-leading expertise in designing, engineering and manufacturing vehicles using this lightweight material. Perfectly balancing form and function, the geometry of every pillar in the upper canopy has been optimised to the nearest 0.1mm to ensure the best possible visibility for all occupants. The sleek headlights, available with adaptive full-LED technology, feature daytime running lights with Jaguar’s signature ‘J’ Blade graphic. The slender LED fog lights were developed in-house and use TV screen optics and light tubes to deliver superior packaging and an exceptionally smooth, homogeneous light source. 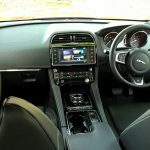 The Jaguar F-Pace is a true five-seater with a spacious, luxurious interior featuring the premium materials, craftsmanship and meticulous attention to detail that that gives every Jaguar its unique sense of occasion. The ‘Sports Command’ driving position provides an authoritative, confidence-giving view out but retains a sports car feel. Jaguar’s cosseting sports seats are shaped to provide exceptional comfort and support and are available with 14-way adjustment, heating and cooling, and refinements such as Windsor soft-grain leather, contrasting twin-needle stitching and embossed headrests. The dramatic curve of the front door top rolls into the fascia and enhances the cockpit-like feel. The unrivalled range of contemporary trim options includes authentic metal finishes such as Meshed Aluminium and beautiful crafted veneers such as Satin Grey Ash. 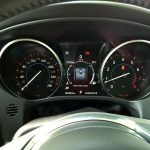 The sweeping instrument panel features two large, deeply-hooded analogue dials and a central TFT display, or a 12.3-inch HD virtual instrument cluster offering a choice of four visual themes and a full-screen 3D navigation display. The infotainment touchscreen, which measures 10.2-inches with the premium InControl Touch Pro system, falls perfectly to hand. Ambient lighting, especially with the 10-colour option, enhances the sense of luxury. The 2nd row seats are spacious. The long, 2,874mm wheelbase makes access to and from the rear seats easy, while the seat base was designed to allow passengers to sit further outboard, offering maximum space when seating three occupants. The positioning of the seats, together with the height of the beltline, means that even small children enjoy a good view out. The optional four-zone climate control system with B-pillar vents ensures even greater comfort. The 40:20:40 split seatback is available with an electric recline function, and despite the dynamic roofline, headroom is maintained throughout the full six degrees of movement. Months were spent refining the shape of the headliner to extract every last millimetre of clearance, right down to using magnets as fixings – these are more compact than traditional fasteners. 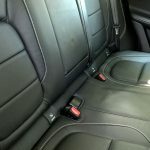 The door pockets can accommodate large bottles, while the storage spaces neatly scalloped into the sides of the centre console were designed around smartphones and feature non-slip rubber inserts at the bottom. 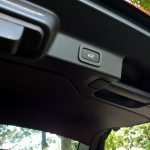 The console also features twin cup holders, which can be hidden when not in use by the optional sliding gloss black cover. The cubby box offers a 12V socket and up to two USB ports. 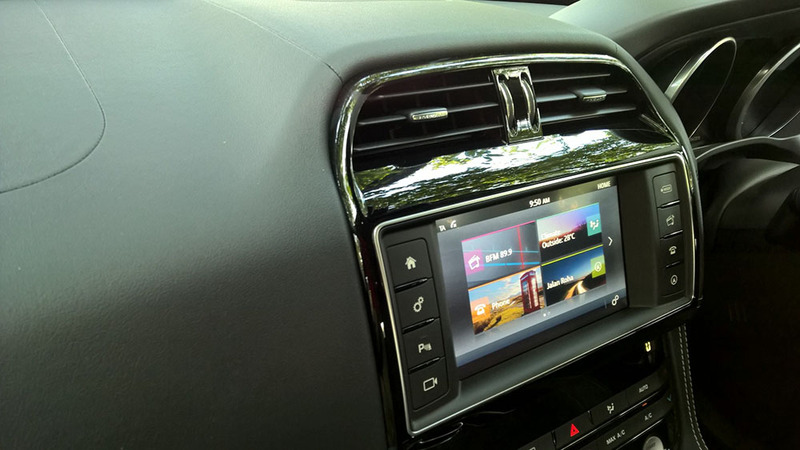 Where fitted, the dual-purpose HDMI/ MHL port enables occupants to stream media including video from the InControl Touch Pro infotainment system to devices such as tablets, and playback is controlled using the device itself. The rear console can feature up to two more 12V sockets or two additional USB ports. On most models, cupholders are integrated into the rear armrest. The F-Pace luggage compartment has a very usable 650-litres. 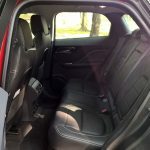 The space is made all the more useable by its 1,255mm width, more than enough to accommodate two full-size golf bags, for example, or four large suitcases. 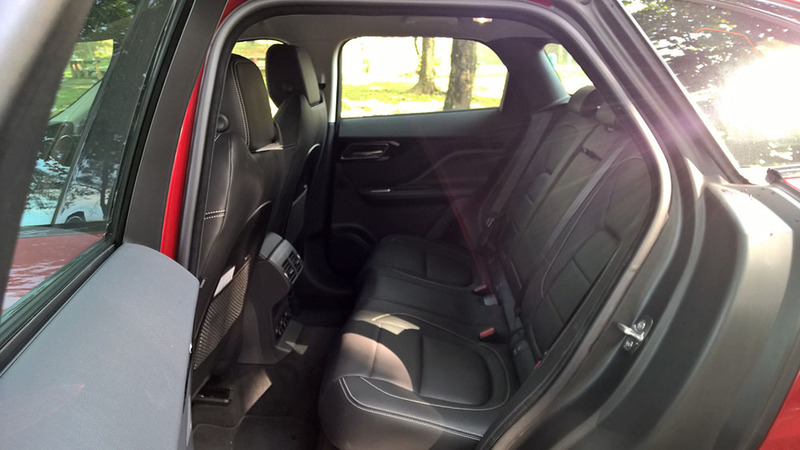 The rear seats allow through-loading and when folded flat, the luggage compartment offers up to 1,740-litres of space. The clever packaging is enhanced still further by the low loading height and the flat floor. The floor itself is reversible: one side is carpeted, the other rubberised – making it ideal for sports equipment or pets. The parcel shelf can be stored below the boot floor, and so too can the optional mesh loadguard. 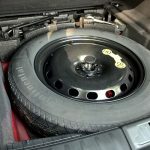 Alternatively, there is room beneath the floor for a full-sized spare wheel. The lightweight composite tailgate benefits from optional power opening and closing functions, and gesture control for hands-free operation: all the customer has to do is make a smooth kicking motion. Sensors recognise this movement and will trigger the opening or closing request. 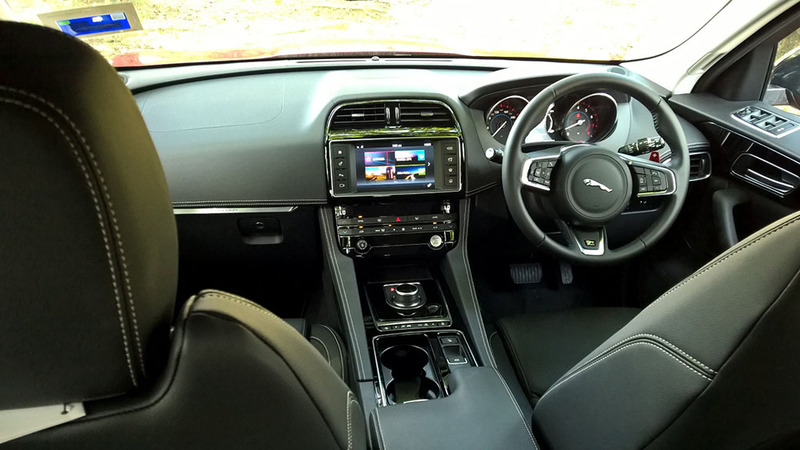 The F-Pace comes with Jaguar’s InControl Touch infotainment system as standard. 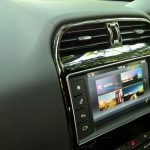 Featuring an 8-inch capacitive touchscreen, intuitive user interface and crisp clear graphics, it supports smartphone and tablet gestures such as ‘swipe’ to move from one page to another, and ‘drag’ to scroll through maps. Entering addresses is quicker and easier than with previous systems and routes are calculated faster thanks to SD card storage of navigation data. Maps are rendered in 2D and 3D graphics, making directions even simpler and more intuitive to follow. 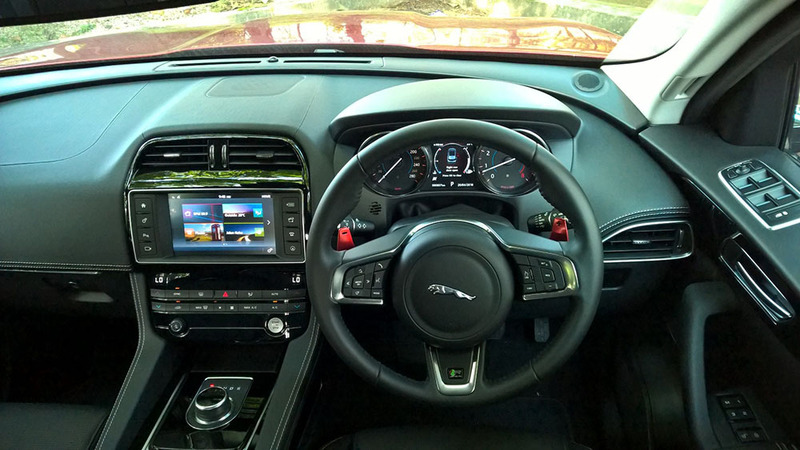 InControl Touch Pro is the most advanced infotainment system that Jaguar has ever offered. Designed and developed in-house around state-of-the-art technologies including a quad-core processor, a high-speed 60GB solid-state drive (SSD) and an ultra-fast Ethernet network, InControl Touch Pro delivers truly world-class performance and an outstanding user experience. 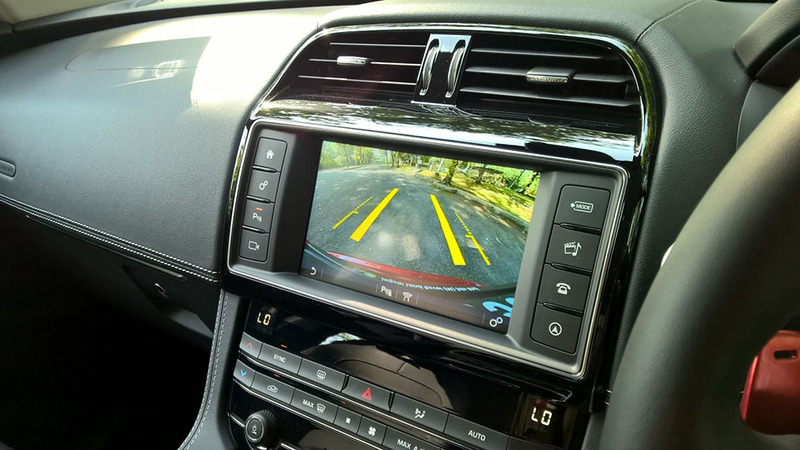 The system features a 10.2-inch touchscreen – the largest in the segment. And, like a tablet, there are no buttons: in their place are soft keys integrated into the bottom section of the touchscreen, making interaction smooth and seamless. InControl Touch Pro has been designed to make every journey easier and more enjoyable. Navigation data stored on the high-speed SSD can be accessed in a fraction of the time required with conventional hard drive technology, making the graphics incredibly responsive. Users can zoom in and out of maps using ‘pinch’ and ‘pan’ gestures – nothing could be simpler or more intuitive. And a dedicated companion app for iOS and Android devices enables true door-to-door route planning and guidance and can help you to complete your journey on public transport or on foot. For those who just want to enjoy the music, InControl Touch Pro offers a choice of two digital audio systems developed with renowned British experts Meridian, including a 17-speaker, 825W surround sound system which delivers ideal sound reproduction with benchmark low levels of distortion. The experience is enriched with Gracenote images stored on the SSD drive – 10GB of its 60GB capacity is dedicated to media storage – and functions such as ‘Play more like this’ which automatically compiles playlists, or Music Queue, which makes it easy to search for and add songs, albums or artists to a music queue the current track is still playing. The effectiveness of aluminium as the core element in Jaguar’s lightweighting strategy is well-proven. This material is used extensively throughout every F-Type, XE, XF and XJ because it is fundamental to exceptional performance, agility, refinement and efficiency. The F-Pace is the latest model to benefit from Jaguar’s world-leading expertise in designing and manufacturing aluminium monocoques. Using the Lightweight Aluminium Architecture as the basis, the F-Pace features more aluminium – 80% than any competitor. 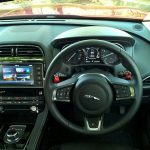 Another technology first developed for F-Type and now applied to the Jaguar F-Pace is Torque Vectoring. Designed to make the vehicle even more agile, the system can apply finely-metered braking to the inner wheels to mitigate understeer during corner entry, helping the driver to keep the vehicle on the ideal line through the turn. 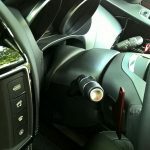 The system works predominantly on the inside rear wheel to avoid any corruption of steering feel, and as a result system intervention is virtually transparent to the driver. Adaptive Dynamics takes this to the next level. By monitoring body movement 100 times a second and wheel movement 500 times a second, the system provides continuously variable damping to suit the conditions, delivering an even more comfortable ride at lower speeds and even better handling at higher speeds. For models equipped with the InControl Touch Pro premium infotainment system, drivers also gain the Dynamic-i feature, which displays a stopwatch, g-meter and a map of accelerator pedal response. 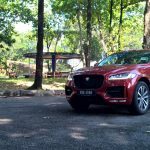 After driving the F-Type sports car 2 years ago and the XE sports sedan a year ago, it comes as no surprise that this F-Pace delivers what enthusiast drivers want. 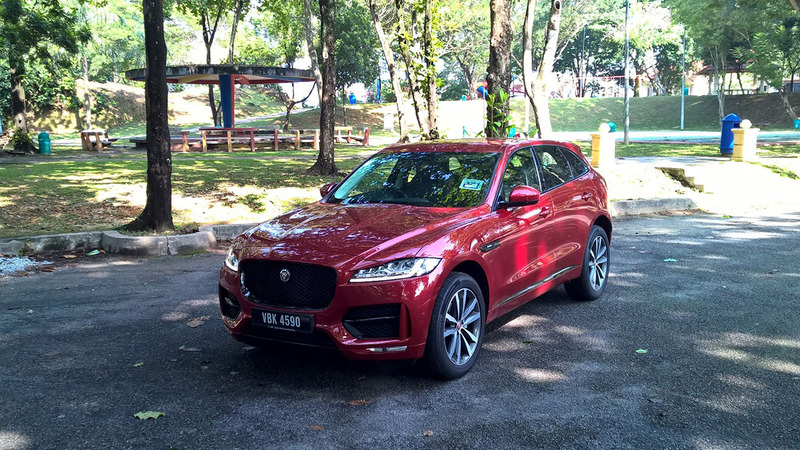 From ignition the F-Pace is quiet and refined. The well defined drive position has us comfortable and in command. In city traffic the F-Pace is a family/business vehicle with a commanding view and easy around the city and car parks. Find an open tarmac and click ‘sports’ mode and this SUV becomes a high riding sports sedan. Its demure image changes to an aggressive sporty machine. The drive becomes exciting, the throttle response is quick and the gear ratios induces more fun. The F-Pace delivers on its promise to entertain and we continue to edge outside the city to discover a more entertaining drive. 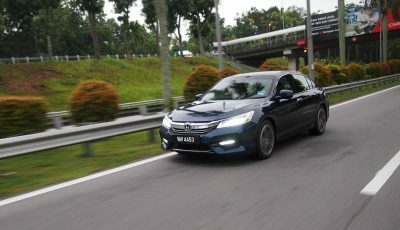 The turbocharged 4-cylinder petrol engine delivers high torque and when in ‘eco’ mode on, its sensible low consumption. Designed to equal the driveability of larger, naturally-aspirated engines but with much lower fuel consumption and emissions, this advanced four-cylinder generates maximum torque of 340Nm from only 1,750rpm through to 4,000rpm. Combined with the 8-speed automatic transmission, this lightweight all-aluminium engine delivers excellent response and mid-range acceleration. 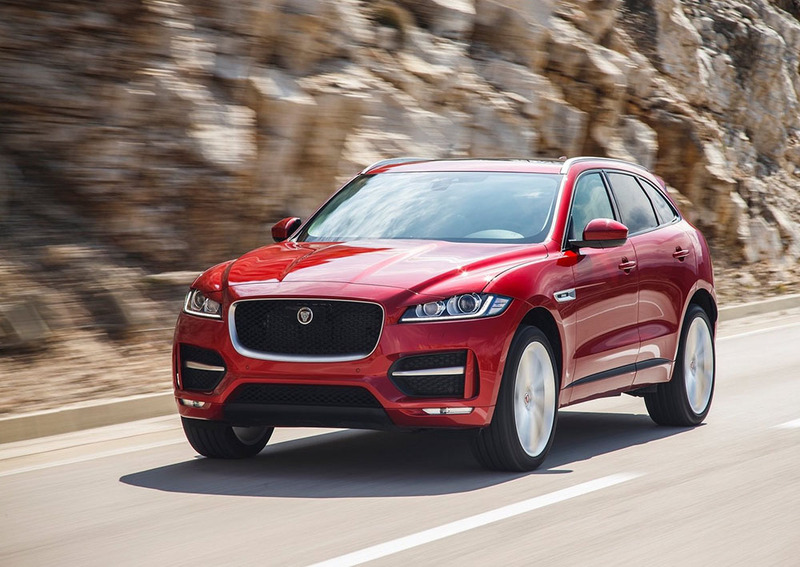 Like the F-Type AWD, the Jaguar F-Pace features a torque on-demand AWD system. Under normal driving conditions, all of the engine’s torque is sent to the rear axle, maintaining a rear-wheel drive character. This also minimises parasitic losses in the drivetrain and therefore helps to reduce fuel consumption and emissions. Whenever greater traction is needed, IDD ensures that precisely the right amount of torque is transferred to the front axle. This process takes no more than 165 milliseconds and is virtually transparent to the driver. 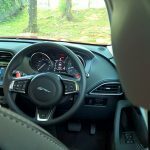 These technologies ensure that the F-Pace delivers the connected steering feel and rear-wheel drive character inherent to Jaguar dynamics DNA, together with handling and performance which fully exploits the benefits of extra traction when required. This could not be realised with a conventional, full-time AWD system. This extraordinary achievement leverages Jaguar Land Rover’s unrivalled experience and leadership in AWD technologies. 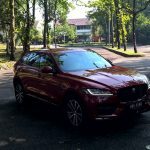 The AWD system in the F-Pace is made more effective still by Jaguar’s Adaptive Surface Response (ASR) technology. ASR adapts the maps of the throttle, transmission and DSC system according to the type of surface. Replacing Rain, Ice, Snow mode in the Jaguar Drive Control system, ASR operates throughout the vehicle’s entire speed range and enables even finer optimisation of the vehicle’s systems to make the most of the available traction, helping the driver to make smooth progress even in the most challenging conditions. The F-Pace’s performance on all surfaces and in all weathers is a function of Jaguar Land Rover’s world-leading all-wheel drive technologies and the inherent advantages of the Lightweight Aluminium Architecture. Designed to be as light and rigid as possible, the monocoque structure delivers the high stiffness needed for precise chassis control and delivers class-leading power- and torque-to-weight ratios. It also delivers the short overhangs which are not only essential to the vehicle’s outstanding proportions, but also to the maximum approach and departure angles of 25.5° and 26.0° respectively. The ground clearance of 213mm is another advantage and one made all the more effective because the underfloor is also as smooth as possible to reduce aerodynamic drag. And when the architecture was developed, ECUs and other electronics modules were packaged as high up as possible to aid the F-Pace’s remarkable 525mm wading depth. By monitoring the area behind the vehicle, radar can assist the driver in other scenarios too. Medium-range sensors can make overtaking safer by warning the driver of other vehicles approaching fast from behind. As they approach the blind spot, a flashing icon appears in the door mirror to alert the driver of the potential danger. As the vehicle enters the blind spot, the icon becomes solid. The same medium-radar sensors can help to improve safety at slower speeds too. When reversing out of parking spaces, other vehicles approaching from either side – which may not be visible to the driver – are detected by the radar. If they present a potential hazard, the driver is given audible and visual warnings. To help the driver to park in even the tightest spaces, the F-Pace offers semi-automated park assist functions for parallel and bay parking manoeuvres. 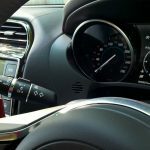 The vehicle’s ultrasonic sensors first measure the space, and, if the system decides that it’s suitable, will enable the vehicle to steer itself in – the driver just has to control the accelerator and the brakes. 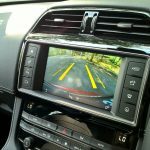 The system can also steer the vehicle out of parallel spaces. *Selling price is inclusive of 6% GST. Excludes Road Tax, Registration and Insurance. Subaru XV 2018 Test Drive – New safety features and a smarter cabin design, but does it make it more appealing to buy?